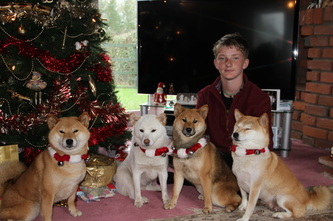 Our son, Danny was lucky to be born into a household of dogs, Danny's love and committment to our canine pack is evident from these pictures. 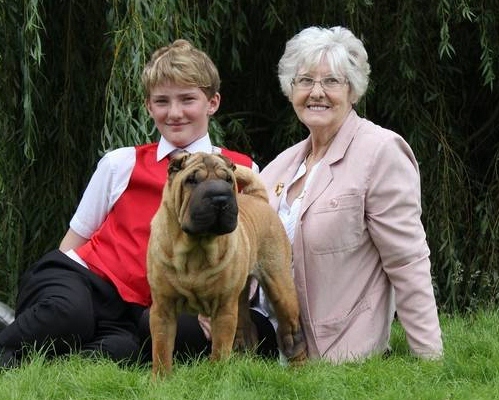 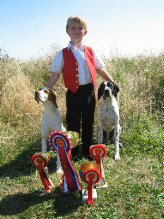 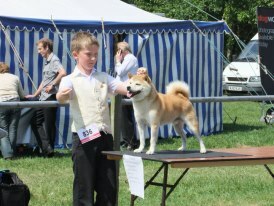 As well as helping with the routine daily tasks of exercising and grooming. 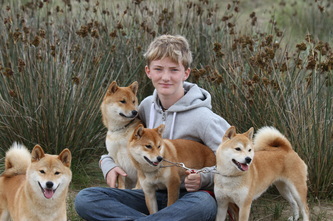 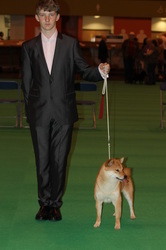 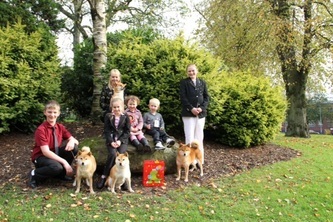 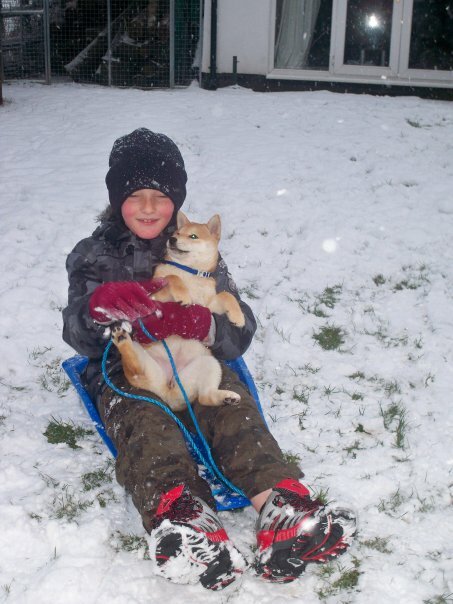 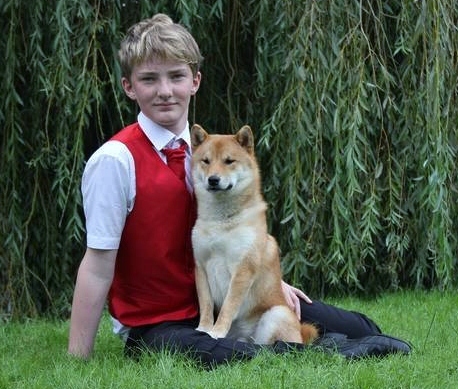 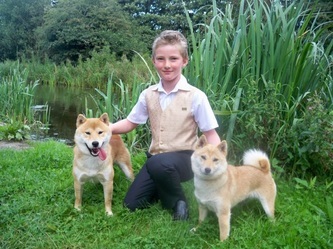 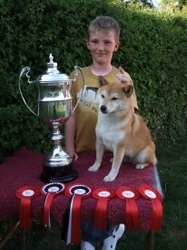 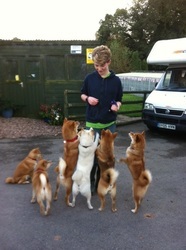 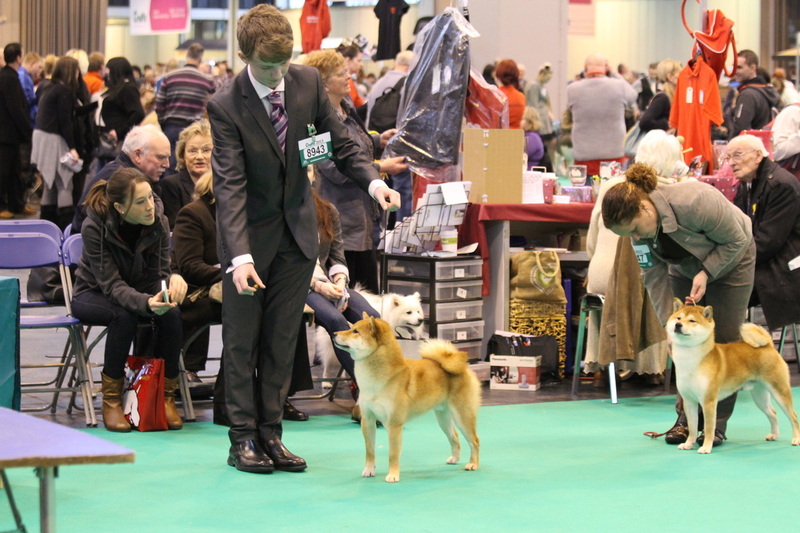 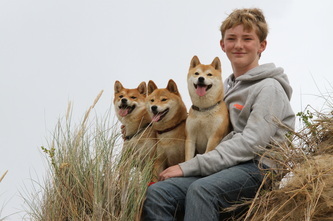 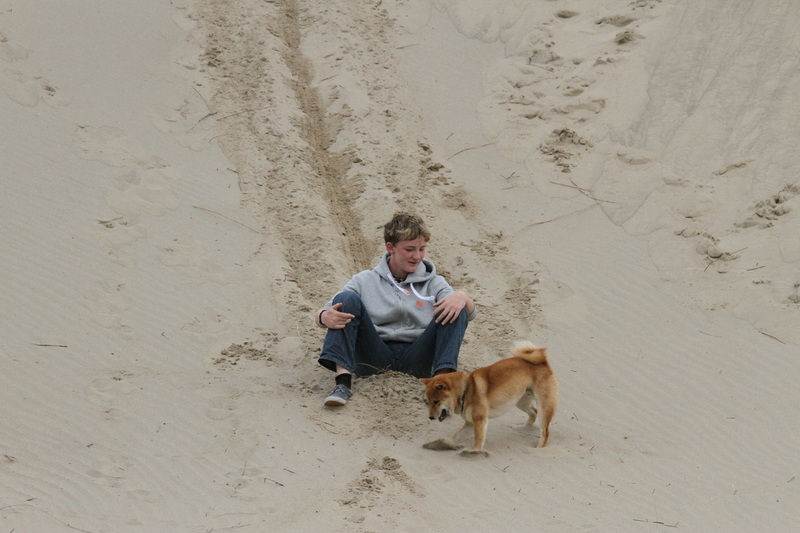 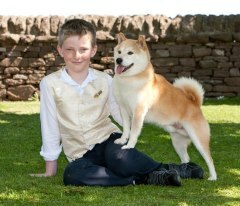 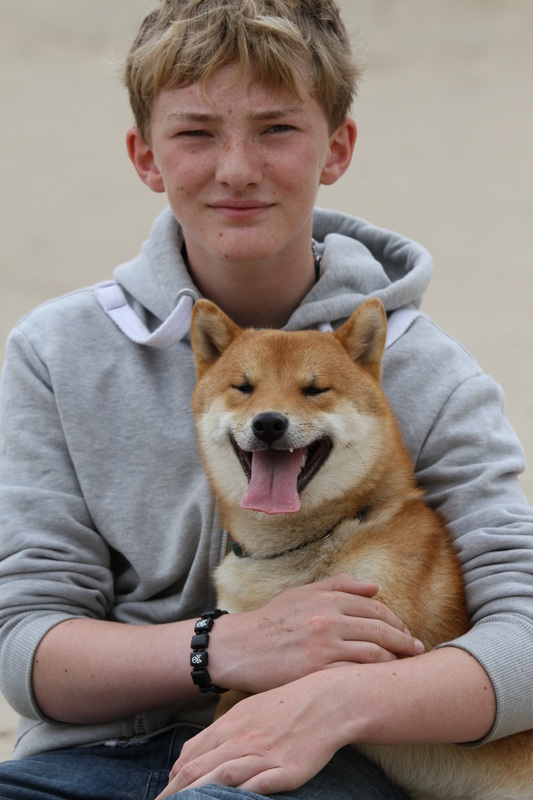 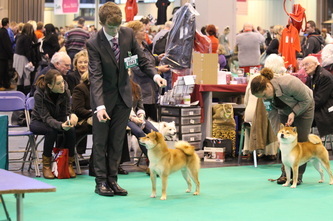 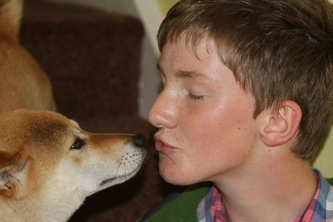 Danny also enjoys the training and showing element of being part of 'Team Janeryl' shibas.